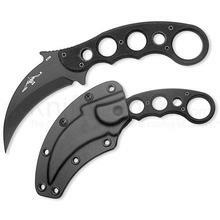 The Karambit is designed based on the tiger claw. It is virtually unstoppable when it has been placed in motion. This fixed blade combat knife has a 154CM stainless steel blade and G10 handles. 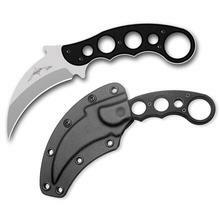 It is made entirely in the US and comes with a Kydex sheath.